This is part of a series of the Storm King woods. This one depicts fall. I did summer last year during the same break, so I guess I'll keep going. It looks very Charles Burchfield-esque to me. 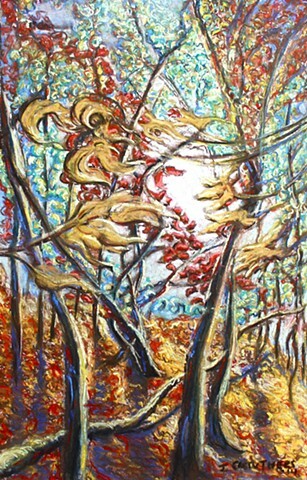 A psychedelic fall- but that's what it's like in the woods sometimes-overwhelming.